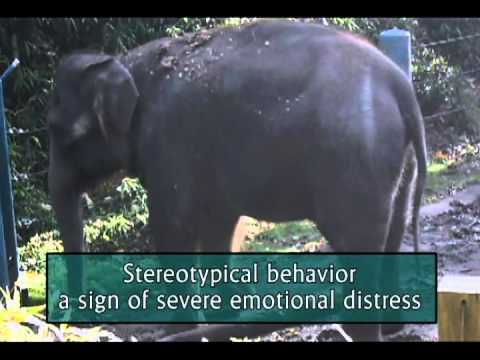 Friends of Woodland Park Zoo in Seattle, WA presents a short video that illustrates the sad and impoverished lives of the three elephants in the zoo. Friends of Woodland Park Zoo Elephants was initially hopeful that Woodland Park Zoo’s “Elephant Task Force” would conduct a thorough and objective review of the health and welfare of Bamboo, Chai, and Watoto and recommend that the elephants be retired to give them an improved quality of life. But sadly, the cards are stacked against them. 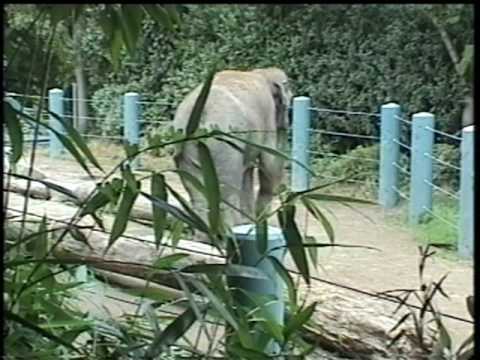 The zoo formed the task force after two scathing Seattle Times articles called attention to the misery that elephants endure in zoos (highlighting the Woodland Park Zoo and the Oregon Zoo) and two Seattle Times Editorials that called for the retirement of Bamboo, Chai, and Watoto to a sanctuary. From attending and observing the task force meetings, learning who is on the panels and chosen to speak, and how input is managed—one thing is clear—the zoo is using the task force as damage control. The selection of the task force members was made by the Woodland Park Zoo Board whose members are financially and personally invested in the zoo. The zoo, while claiming transparency, would not share the selection process and criteria in convening the fifteen members. In a clear conflict of interest, five of the fifteen members are current or past Zoo Board members. At least another six task force members said they had no knowledge about elephants or about this incredibly complex issue. The zoo also convened a secondary “Expert Review Panel”, which will review the elephants’ health and the zoo’s breeding program. The task force will rely heavily on this panel’s findings. 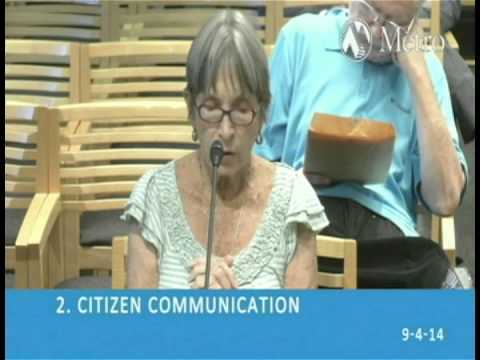 Dr. Slinker who is on the Zoo Board and admitted never having worked with elephants chose the panelists. In a flagrant conflict of interest, Dr. Slinker co-authored an op-ed in The Seattle Times parroting the Woodland Park Zoo’s language that the elephants should stay at the zoo and made the astonishing and incorrect claim that our elephants don’t have foot problems. If Mr. Slinker bothered to read the elephants’ medical records he would have found out they do in fact have foot problems—dating back to at least 1999. 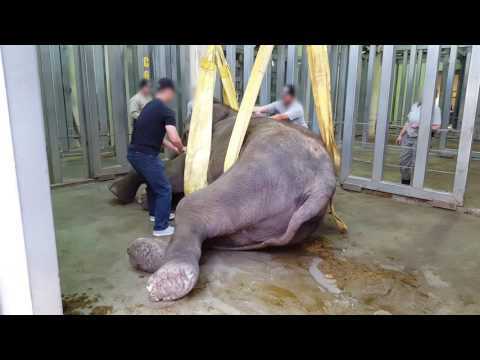 This is critical to be aware of because foot problems are the main reason elephants in zoos are euthanized. In addition to foot problems, Bamboo, Chai, and Watoto suffer from lameness, chronic bouts of colic, arthritis, obesity, infection and stereotypical behaviors. Neither the task force nor the zoo-appointed expert review panel includes anyone who can provide an elephant welfare perspective. “Friends” submitted thirteen world renowned elephant experts to the Task Force who offered to share their insight and expertise. None have been invited to make a presentation. Further, to the benefit of the zoo, all the information task force members receive is decided by a public relations firm—hired by the zoo. This is the proverbial Fox Guarding the Hen House with the fate of Bamboo, Chai and Watoto in the balance. If the manner in which this task force is conducted continues, it is a waste of many good, well intentioned people’s time because Woodland Park Zoo’s Task Force report will have no credibility. WHO ARE BAMBOO, CHAI AND WATOTO? Bamboo, Chai and Watoto are female elephants who were taken from their families as babies. Bamboo and Chai are Asian; Watoto is the lone African elephant and has not seen or lived with her own kind since she was a baby. Our three elephants are highly intelligent, migratory animals who have evolved over 40 million years and are genetically wired to travel great distances, just like their counterparts in the wild. Elephants travel for food and water but also for social enrichment and discovery. Female elephants are family oriented with grandmothers, mothers, daughters, sisters, aunts and nieces staying together for their entire lives in these rich, loving matriarchal family groups. Elephants possess deep feelings, grieve over their dead and retain lifelong memories. Elephants know and recognize hundreds of elephants over their lifetime and are never alone or isolated; they are constantly touching, rubbing, and leaning up against each other. Below are the key issues the zoo’s task force is being charged to examine. Friends of Woodland Park Zoo Elephants’ position which follows each key issue is based on scientific research and data from renowned elephant experts. Due to our wet and cold climate, Bamboo, Chai and Watoto are locked in tiny, barren barn stalls 16 – 17 hours a day for over half of the year. This prolonged lock up forces them to stand and pace in their own wastes. Due to their incompatibility with one another, either Bamboo or Watoto is locked in solitary confinement in the barn and are kept separated outside. In the yard they are penned in spaces much less than one acre and forced to stand and walk on hard compacted dirt. Lack of exercise and close confinement leads to, and exacerbates, diseases directly related captivity. Bamboo, Chai and Watoto suffer from one or more of the following: foot problems, arthritis, severe bouts of colic, lameness, obesity, infections, painful skin problems, and psychological distress. Chai paces on her front legs and sways while bobbing her head up and down. These are not, as the zoo would like us to believe, anticipatory behaviors. According to renowned elephant experts, including Dr. Joyce Poole and Dr. G.A. Bradshaw, these behaviors are abnormal. They are the mind’s way of coping with trauma, extreme stress and unrelenting boredom. The first trauma they suffered was when they were taken from their mothers and other family members as babies and shipped off to Seattle with no maternal protection. Our elephants live in a dysfunctional grouping; none is bonded to each other. Bamboo and Watoto are so adversarial that they must always be kept separated. They do not engage in normal behaviors such as synchronized play, touching, rubbing and leaning up against each other which can be observed by viewing them at the zoo or in videos on this web site. From The Seattle Times: “Chai was subsequently the victim — not too strong a word — of 112 attempts to artificially inseminate her.” Dr. Nancy Hawkes, one of the zoo’s Curators, said that over a period of two decades of artificially inseminating Chai the procedure was unsuccessful because: “My guess is they were usually just inseminating the bladder.” In this same article, the photo shows Chai immobilized in an ERD (elephant restraining device) with her legs in chains contradicting the zoo’s claims that Chai’s participation in this highly invasive procedure is voluntary. Contrary to zoo statements, its elephant breeding program serves no conservation purpose because no elephant bred at the zoo will ever be released into the wild. A calf born at the zoo faces a lifetime of confinement in an impoverished and unhealthy environment as well as the possibility of being sold or traded to another zoo. Chai’s daughter, Hansa (a result of Chai being mated with a bull) died at the age of 6 of the horrifically painful and frequently fatal elephant herpes virus (EEHV). There is no cure for EEHV. Woodland Park Zoo has no infection control in place. Chai has had numerous miscarriages. The conservation and education value of keeping elephants at the zoo. Be sure to read Lisa Kane’s rebuttal of Zoos’ conservation claims for in-depth responses to the most common reasons given for keeping elephants captive in unnatural zoo enclosures. The gold standard of wildlife conservation is protection of the species and its habitat in its home range. When that isn’t possible, the next step is captive breeding of the species and reintroduction into the wild. No elephant from a zoo will replenish the ones lost in the wild. Elephant conservation means financing conservation in the wild where elephants live rather than spending about $600,000.00 annually to keep three elephants in Seattle. Research on elephant communication, behavior, and reproduction has successfully been conducted for decades with wild populations. Children learn in different ways now than they did years ago. Learning about elephants can, and is, being done in ways that don’t harm them. Suffering is not education—or entertainment. (2) Smith, L. et al. 2008, “A Closer Examination of the Impact of Zoo Visits on Visitor Behavior,” Journal of Sustainable Tourism, 16: 544-562.